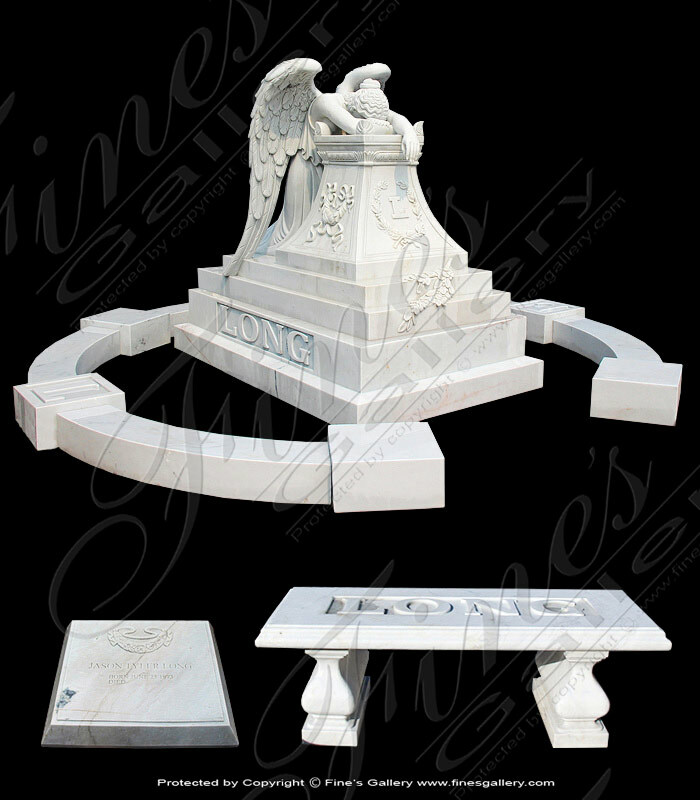 This custom designed marble and granite monument was tailor made for a family monument. Carved from a combination of gray granite and white marble. This custom designed marble memorial was inspired by the family. We took their ideas and created this carved marble monument in extremely high detailed relief throughout. This Custom Granite Monument was designed along with joint effort from loving family. 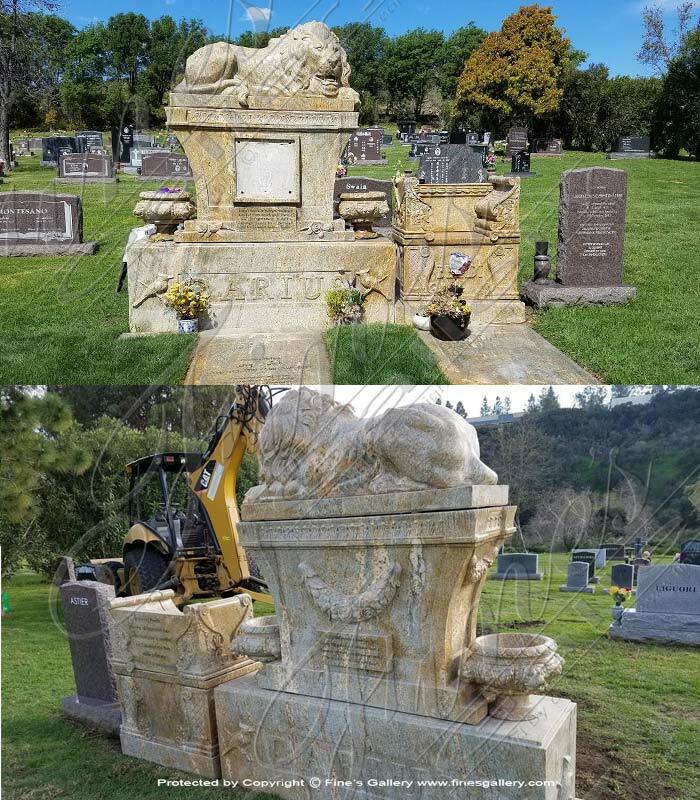 A majestic solid granite lions rests atop of the ornately carved headstone which is decorated with lion head themed urns. All carved from antique gold granite. 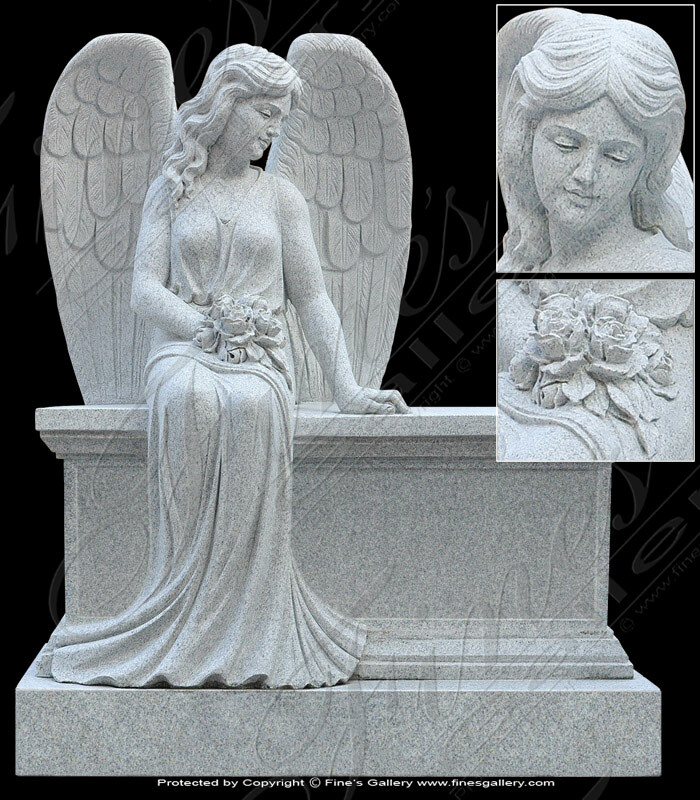 This elegant memorial is made from genuine marble and features a gorgeous angel statue with specially hand carved detail and sophisticated artistry. She overlooks the collection of stone markers that our artists can personally customize for you. 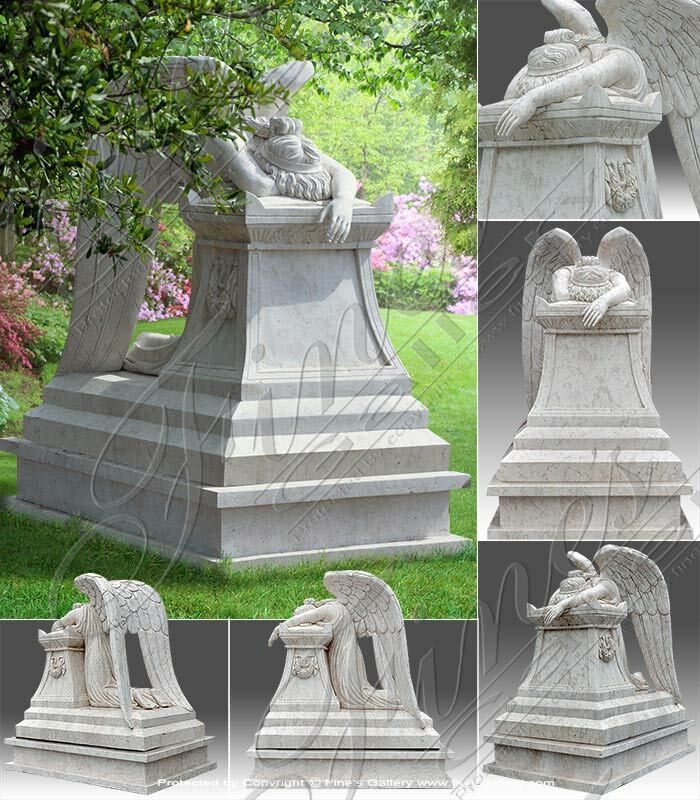 Immaculately hand carved marble weeping angel memorial. This beautiful angel's quiet moment touches all with powerful emotion. Flawlessly detailed with the utmost care and finest quality materials. In Production. 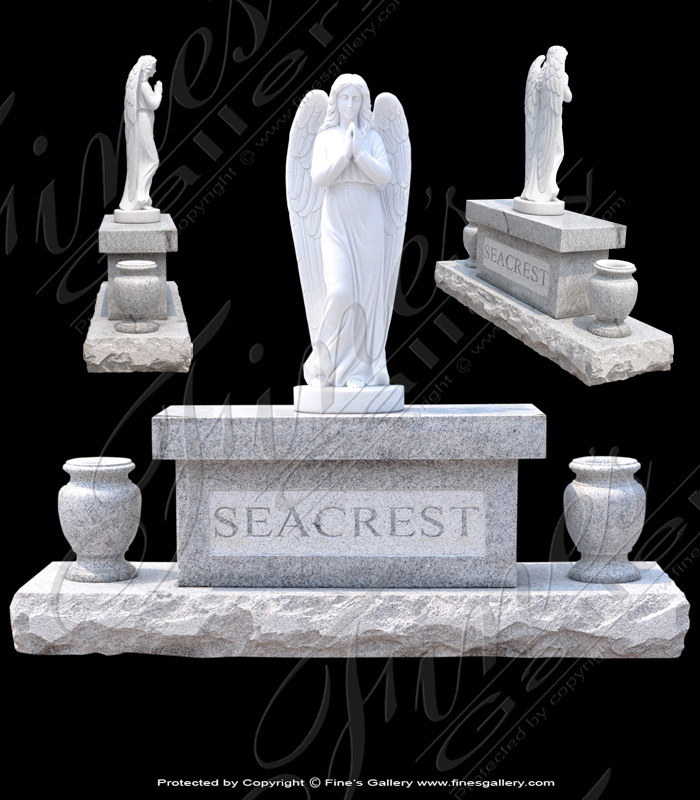 May your loved one rest in peace, commemorated with this beautiful marble memorial. 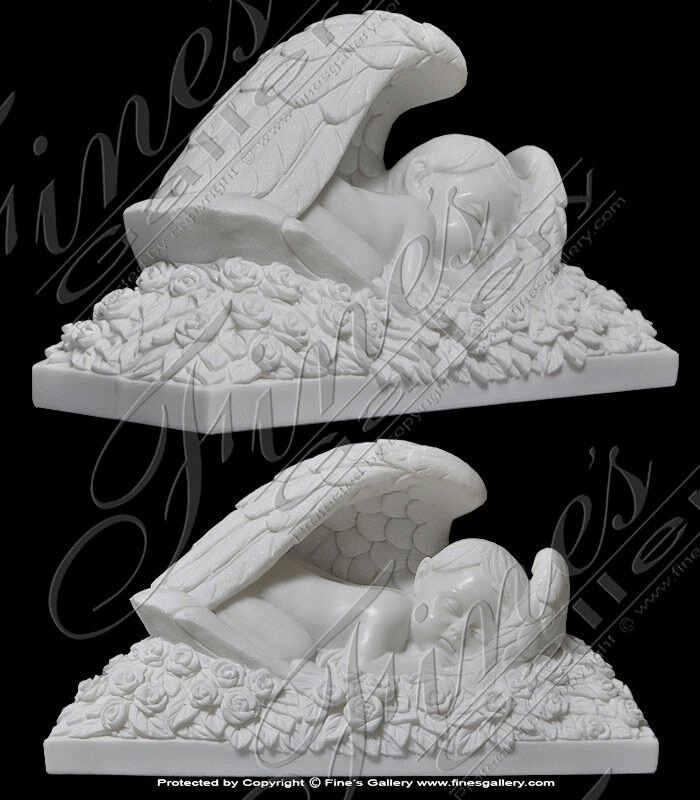 A perfected design with contrasting tones of marble and sleeping angel babe on a bed of roses. All finely hand-carved by our skilled artisans. 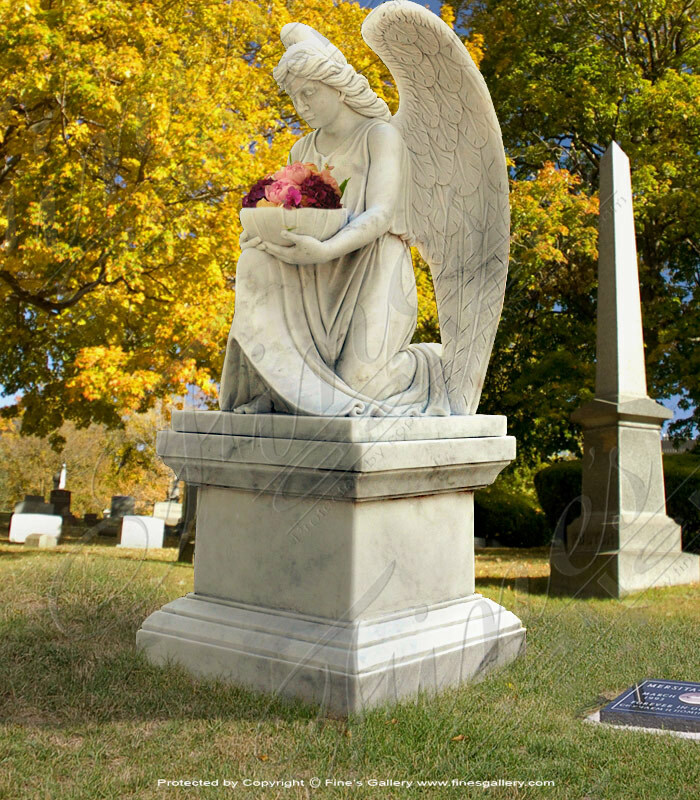 Memorialize the passing of a loved one with this beautiful angel monument. Hand-carved with artistic excellence down to every fine detail. Included in quoted price is Angel on Bench Only! Sub Base & Urns are Optional! Marble and Granite Angel Memorial. 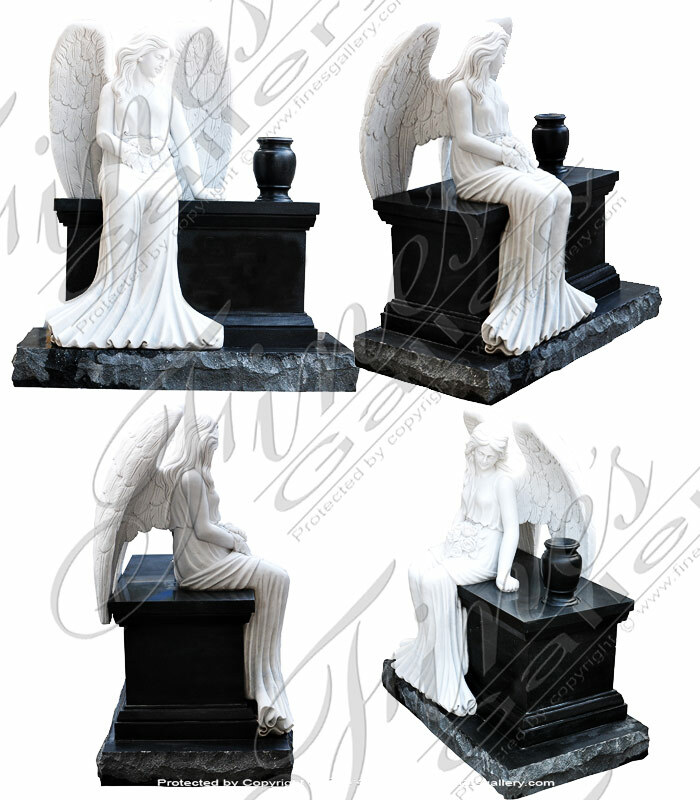 Featuring pure white angel and absolute black granite base. A very traditional combination. There is no more beautiful or more practical for such a beautiful ornate carved marble statue and matching base. 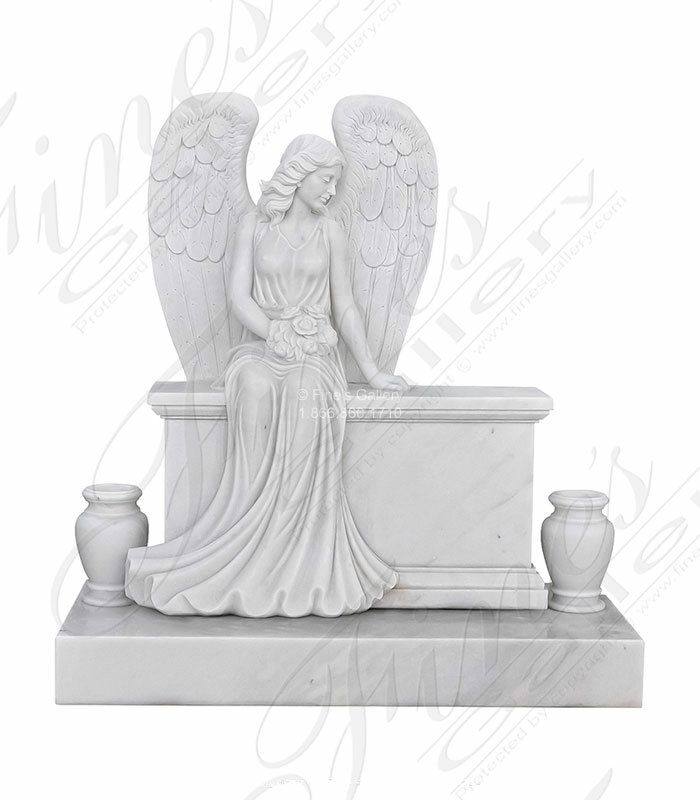 Beautifully hand carved with realistic detail, this kneeling angel memorial creates an atmosphere of elegance and serenity. Set upon a large square base, she kneels with a basin in her lap that can be filled with flowers. Please contact for more info. 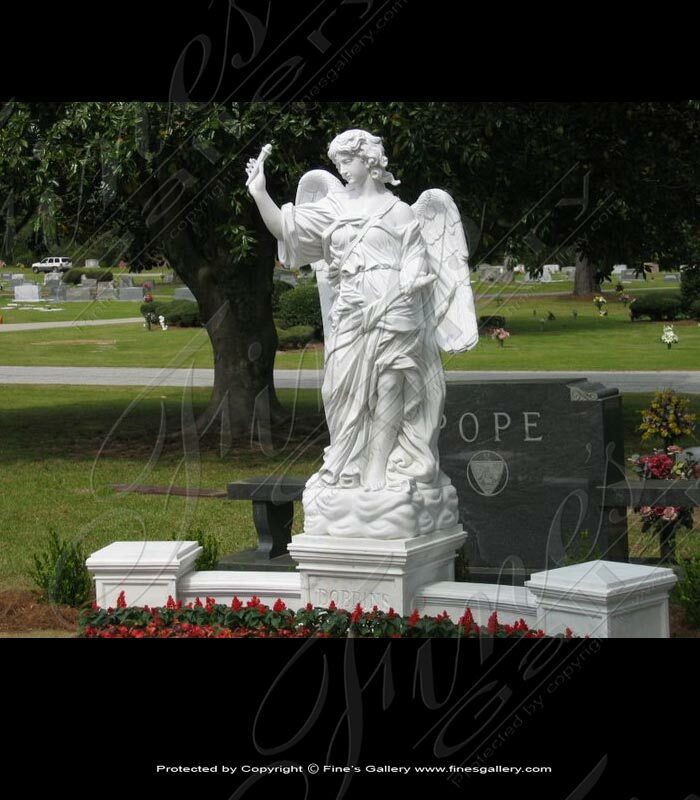 This Granite Angel Monument has been carved from a light gray granite. Available to be customized according to any plot size. 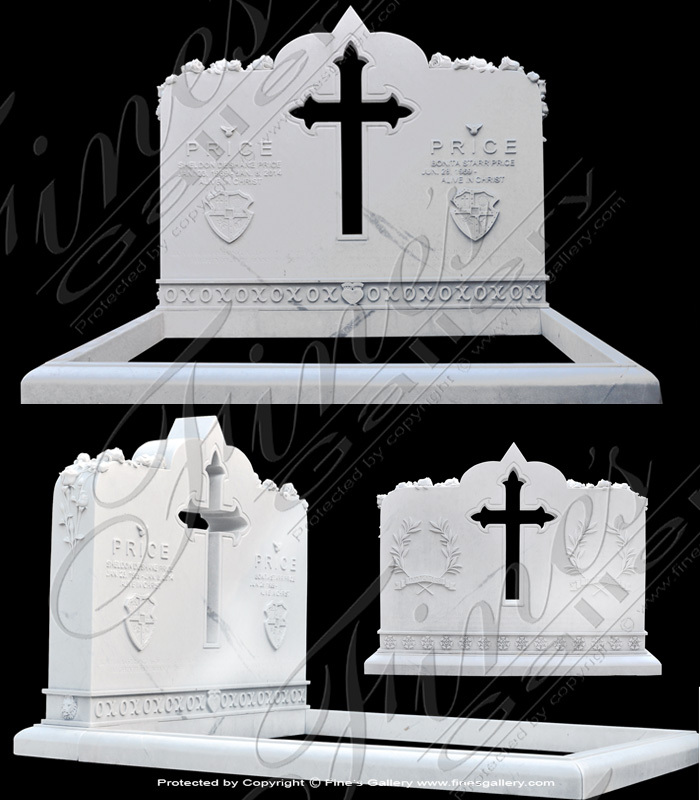 Contact a representative today for information on our granite monuments. Now available in white granite! 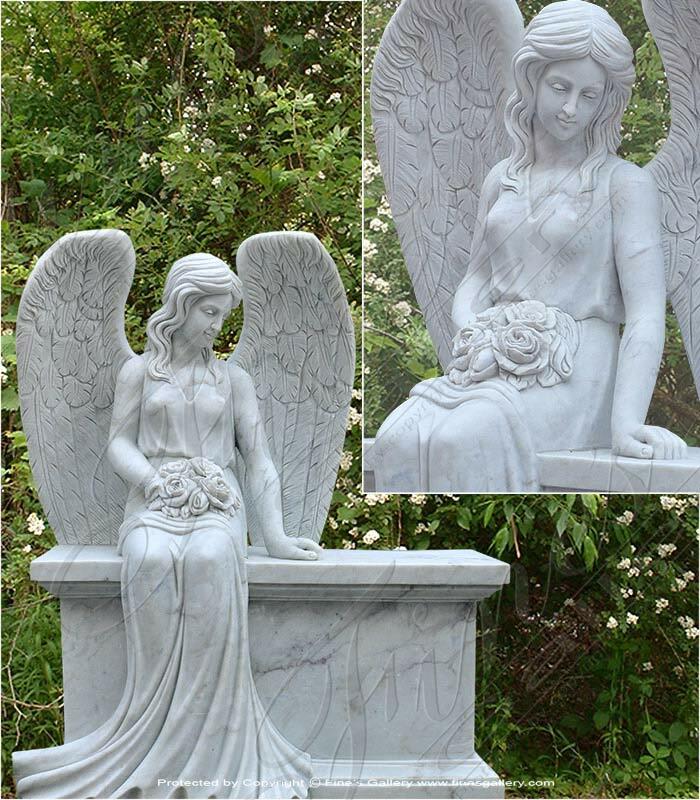 This amazing life size hand carved solid marble weeping angel is simply breathtaking. Carved from Perlato White marble which is quarried in Italy! 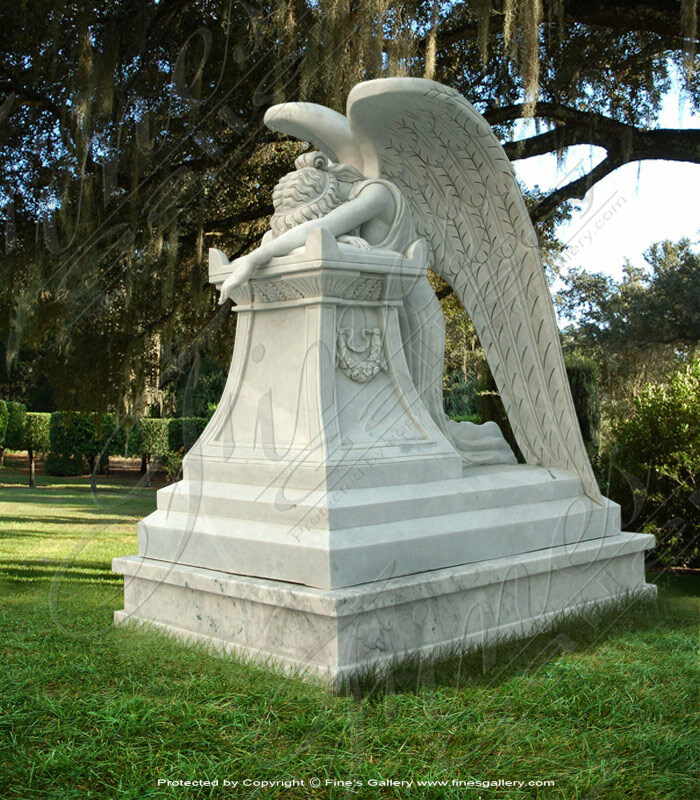 The description for this beautiful Marble Angel Memorial is not available at this time. If you require additional information for this product please call 1-866-860-1710 and talk with a sales representative at anytime. 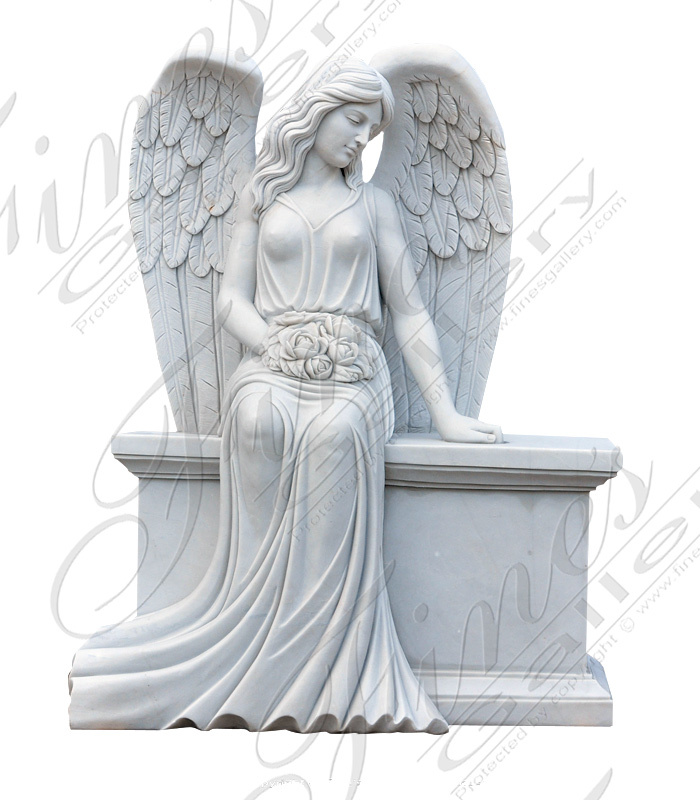 A white marble angel on bench monument available as shown or contact us for customization today. 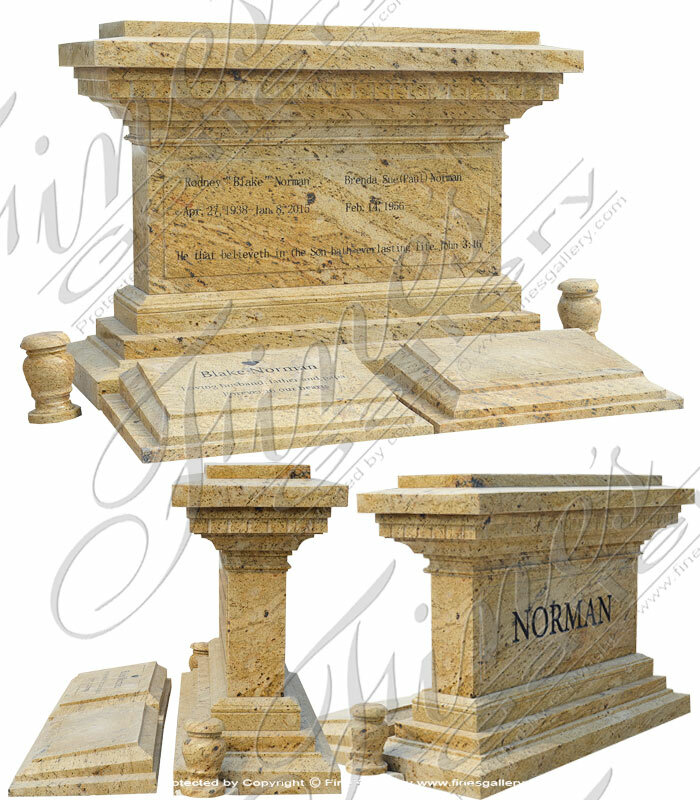 Gold Granite Monument customized for your loved ones. Size listed is headstone only. Footstones and urns sold seperately! 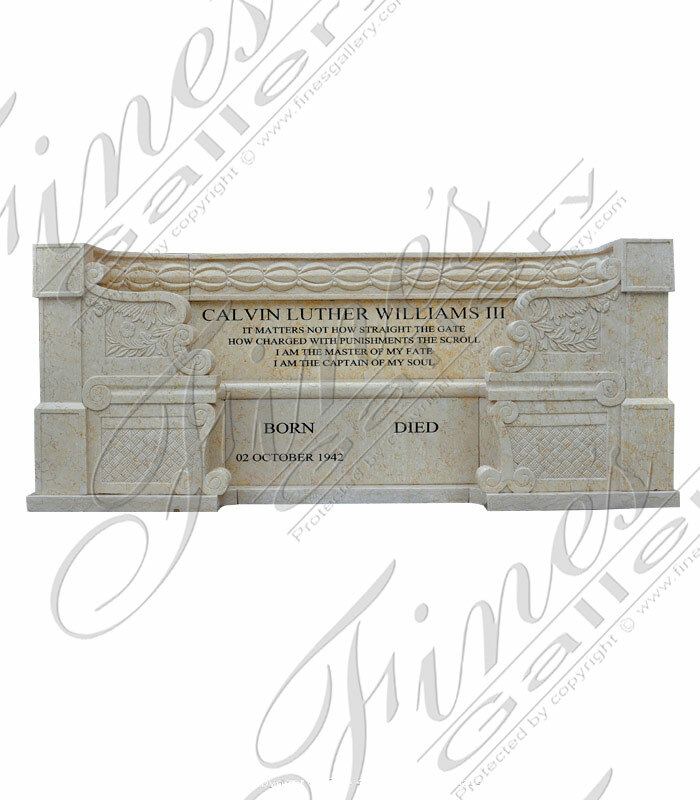 Family Plot Marble Memorial Bench carved from a light cream marble. Available in white marble, gray granite, gold granite, black granite and much more! Customize the size according to your plot. Completely personalize with assistance from our staff.